Hatkesh Engineering making Solar Cookers in various model for various applications. We are making Solar Cookers for residential use which is very much useful to cook food for family of 6 to7 members. Now in this time where gas price is going very high day to day this is very much useful to everybody to save money. It is very easy to use and cook the food and vegetables without losing the integrals in them. Some of the vegetables you can boil without adding water in it. The food made with using Solar Cooker is more tasty and healthy compare to food we makes on Gas Burners. We are also making Big Solar Cookers for Hotels and Holy places. Where by using solar cookers you can make food in big quantity in minimum time period. It is very cheap and user friendly. 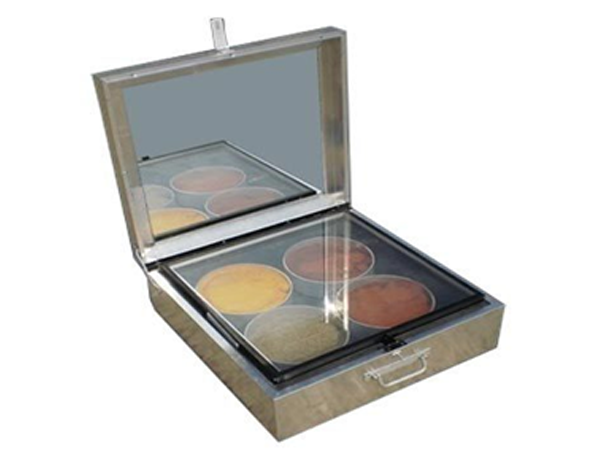 We are making Solar Cookers with good quality thick aluminium sheets which makes it robust. We are also using good quality toughened glass and mirror to increase the efficiency of Solar Radiations. Looking for Solar Cooker manufacturer in Gandhinagar, Solar Cooker supplier in Gandhinagar ? Contact Hatkesh Engineering for Solar Cooker exporter from Ahmedabad. Inquire at hatkeshengineering@gmail.com or call at 9898105579, 26461285.